The wait for Google+ social network is over, I got access to it with the help of my cousin. Google+ UI looks cool, especially the way we manage our social circles. Being a long time Facebooker one of the first things popped on my mind is “Google+ seems to be fun and while playing with Google+ should I double post my status updates? Once on Google+ and again on Facebook?”. You understand it right? I cant leave my friends on Facebook while I’m playing with Google+. So how about automatically posting to Facebook wall from Google+? It’s fun!! Google+ updates can be posted to Facebook using simple feature of Facebook that lets its users post status with email id. Facebook lets everyone to post updates to their wall with a special email id, so configuring Google+ to share updates to that email id will do the trick. Lets see how to do it. 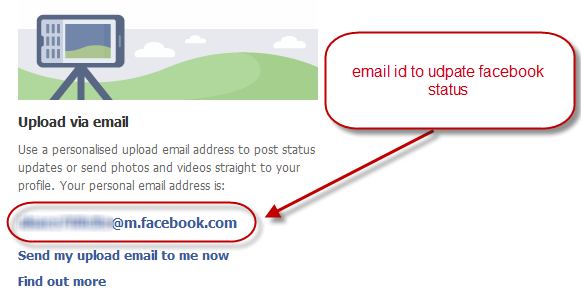 Step 1: Get Your Facebook status update email id – Login to Facebook and point your browser to http://www.facebook.com/mobile/. Find a section “Upload via email” and copy the email id listed below that section. That is the email id which needs to be added to Google+. 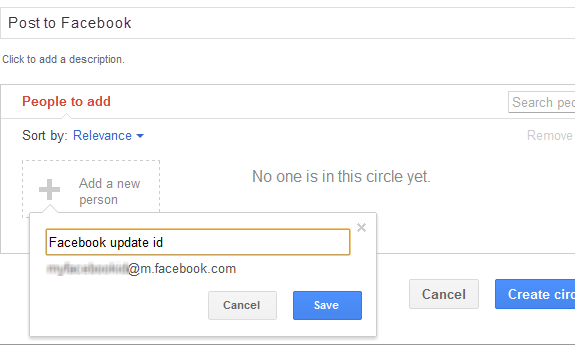 Step 2: Create a Google+ Circle with Facebook status update email id - Login to Google+ and point your browser to https://plus.google.com/circles to create a new circle. Click on “Create Circle” link and add Facebook status update email id to the new circle. Lets name the circle as Post to Facebook or what ever you like. Step 3: Lets post updates to Google+ as welll Facebook at a time – Whenever you update Facebook wall from Google+, just add the circle “Post to Facebook” to the status message. Your status updates will be automatically added to your Facebook wall. Thank you Google for giving us yet another site to pass(waste) time! I tried this over two hours ago and still no update to facebook. So it does not work! I tried this, but all I get is a truncated version of the email. Is there some way around this?